Li'l tykes are yours to wear to let them know you really care. Bright yellow bus with red accent lines around the door and along the side at the top. Measures 2" x 3/4"
1 1/2" x 3/4" and matches the gold necklace. 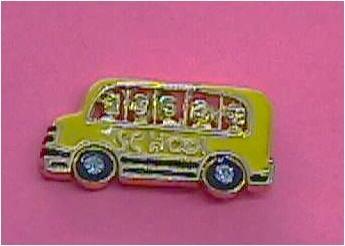 This pin features a miniature bus with kids and sparkling glass hubs. 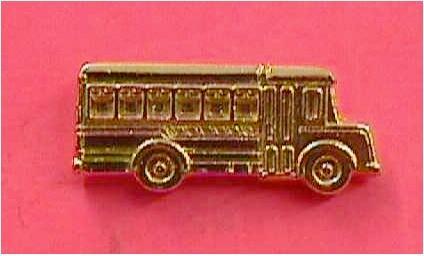 It measures 3/4" x 3/8"
This pin is also a miniature bus, only gold in color. It measures 1" x 3/8"